With a minor break in my schedule, I fired up the beta version of the brand new Football Manager 2018 and undertake a little experiment. While turning the “what-if” dial up to eleven, I am going to replay the 2017 Orlando City season. With the reality of this past season still a fresh wound, maybe there is some therapy in performing a technological autopsy. All in good fun of course. If you aren’t familiar with Football Manager (FM), the series is extremely popular in Europe. FM is a ridiculously detailed data driven soccer management simulator. With a massive database and the ability to play nearly any league from around the world, the game is maybe best described as a thinking-man’s FIFA. A chance to put your “what if” scenarios of frustration to the test. Or maybe to be more blunt, this is some pretty nerdy stuff. In the interest of full disclosure, I am part of the massive worldwide team that analyzes player stats, I’ve worked on the Orlando City stats since their first MLS season. 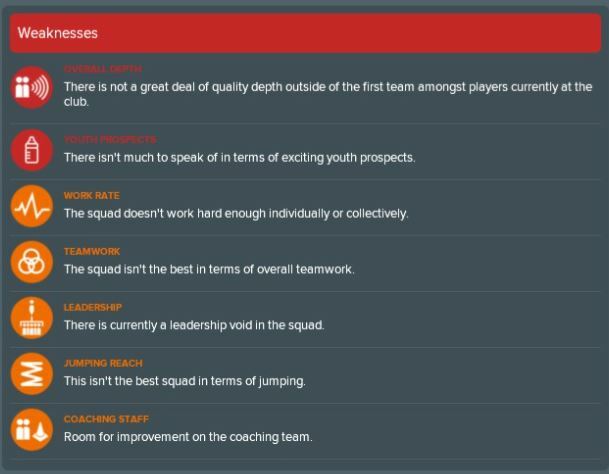 I’ll keep this brief, but if you are a FM player you’ll probably wonder about these details. I’m playing with a medium database of 9,800 players, with MLS, English League Two and above, German Second Division and above, and the Mexican League all active. I’m using the MLS start date of January 2, 2017. My coaching style is “motivator” and my background is “professional player (national level).” For the sake of this experiment, I’m not using any cheat codes or restarts. Here is where things start off for Orlando City as their new coach takes charge. The database is the most up-to-date version, so we are starting the 2017 season with all the summer transfers. That makes things instantly interesting, as Orlando will now have a full season of Dom Dwyer and Yoshi Yotun. Phil Rawlins is still in charge of the day-to-day. The game began, for whatever reason, with Hadji Barry, Antonio Nocerino, and Tony Rocha on the transfer list. I took Barry (Go Knights!) and Noce off the transfer list immediately, but left Rocha on just to see what happens. The non-existent LAFC has their eyes on Will Johnson, Richie Laraya, and Yoshi. In news other news from around this alternate reality, NYCFC’s Patrick Vieira has been given the keys to the United States Men’s National Team… who still have a chance to quality for the 2018 World Cup. I’ll keep you posted on how the team does moving forward. Orlando City fans don’t need a video game to tell them those well known issues, but I now know I’ll have my work cut out for me. Let’s face it, fake Travis Cisneros probably has a point. After that warm welcome, I had a chance to be introduced to the press. When asked about how I felt about getting the Orlando City coaching job, I answered the only way I know how… Honestly. Beyond that I’ve been running the team through the pre-season paces in anticipation of a full slate of matches the generated schedule has lined up for me. Seven straight games on the road while the new Orlando City Stadium gets the finishing touches, true to life. Pre-season opens up against the Charlotte Independence, before coming back to Florida for match-ups with the Ft. Lauderdale Strikers, Miami FC, and the Tampa Bay Rowdies. A couple more away games, then it’s back to Orlando for a final inter-squad match-up with Orlando City B. Nice, enjoyed that! Hadn’t read your stuff before. Thanks! This is just for a bit of fun but I’m enjoying it quite a bit so there will be more posts. What do you think of the new FM so far? I’m fixing to get it tomorrow when it comes out. I like it so far. The Orlando City team feels about right to real life, but looking forward to digging in a bit deeper when I have the time.